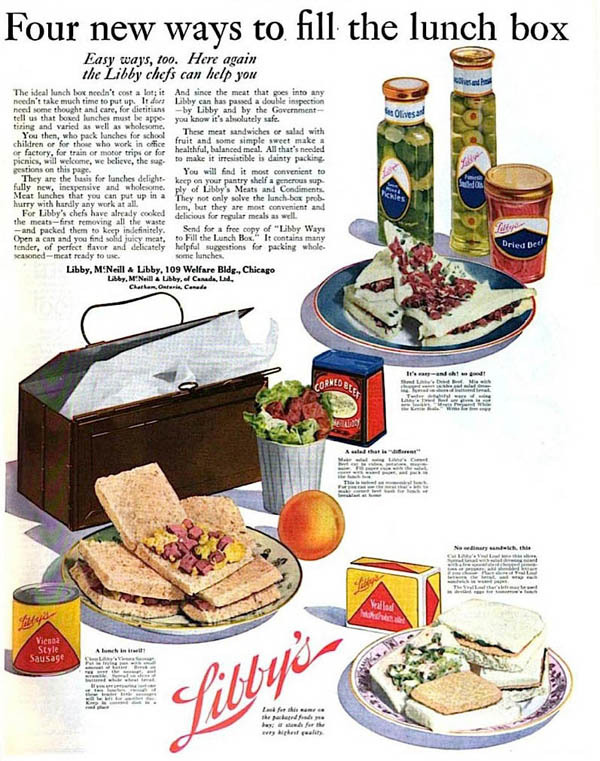 "For Libby's chefs have already cooked the meats - first removing all the water - and packed them to keep indefinitely." Not up there with "For God So Loved the World that He sent His only begotten son," but you can see what they're shooting for. What a peculiar address: 109 Welfare Building.